This is a unique book. There have been many books about aerial combat in World War Two, quite a few on the Grub Street list, but as far as we know, this is the only one written by a Squadron medic. And what a tale...George Bell's story starts in late 1943 and he traces the experiences of 609 (West Riding) Squadron up to and after D-Day, during the fight for and eventual liberation of, France and the subsequent victory in Germany. In these days the 'Doc' was very much part of the squadron and the young pilots and groundcrew tended to confide in him all their troubles. George is therefore able to give the human side to the heroic tank-busting deeds in Normandy and he describes months full of drama, bravery, horror and fear, balancing the realities of war with accounts of humour, laughter and tolerance. 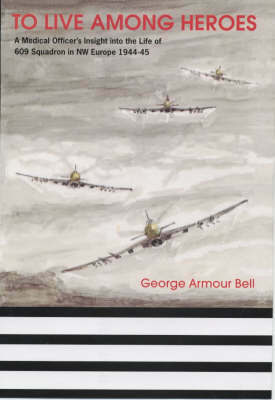 In these pages George Bell has managed to capture his feelings towards his fellow pilots so vividly and in such depth that the book will be justly acclaimed by the reading public.